Couchbase Server can be enabled to support certificate-based authentication by networked clients. 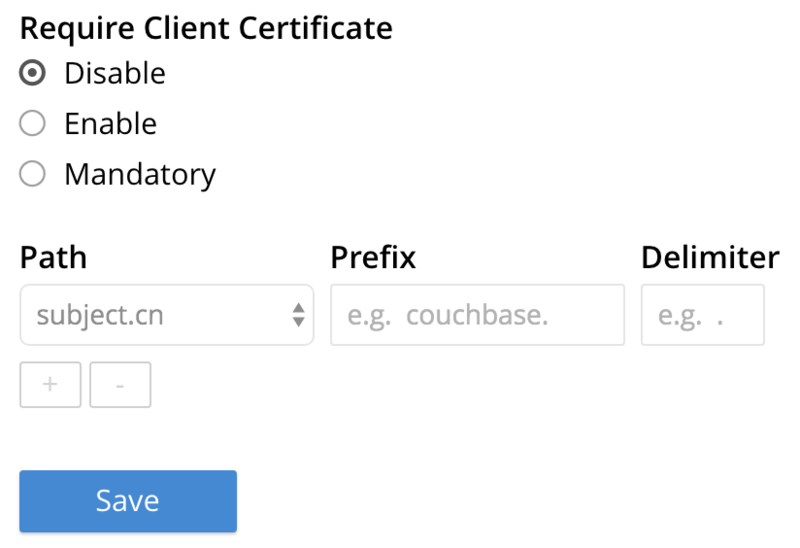 Couchbase clients can be authenticated by means of X.509 certificates, but only after client-certificate handling has been explicitly enabled. This can be accomplished with the UI, the CLI, or the REST API. The initial, default view is for Users. Disable: Disables client based certificate authentication. This is the default value. Enable: When enabled, if the client presents a certificate, then that certificate is used to authenticate. If authentication fails, then access is denied. However, if the client does not present a certificate, the certificate based authentication will be bypassed. mandatory: The client must present a valid certificate in order to gain access to Couchbase buckets. Note, if you are using XDCR, do not use the mandatory state. In order to identify the client-certificates that will be presented for authentication, specify one or more appropriate combinations of Path, Prefix, and Delimiter. For an explanation of these values, see Identity Encoding in Client Certificates. Left-click on the Save button, to save the settings. Client certificates will now be handled in accordance with your specification. Enable or disable the SSL client certificate authentication. mandatory: The client must present a valid certificate in order to gain access to Couchbase buckets. If using XDCR, do not use the mandatory state for X.509 Certificate Authentication. Set SSL client certificate type value. This field will be used to extract the user name from the certificate. Currently, only the fields specified in the values column are supported. Set SSL client certificate prefix value. Set SSL client certificate delimiter value. The delimiter can either be a string or a character. The parsing of the certificate for the user name ends when the delimiter value is found. Show SSL client certificate authentication value. Create a user with authentication source (domain) 'Couchbase'. Ensure that this user is an internally managed user with a strong password. 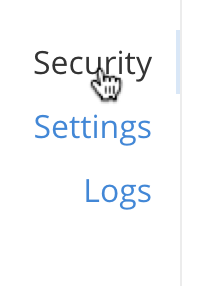 While the password is not used as part of the certificate based authentication, it is required if the user is trying to access the resources through the web console. Run the following command to enable x.509 certificate authentication on the server. On a cluster’s upgrade to the current version of Couchbase Server, the cluster will continue to return client-certificate authentication-settings in the format of the earlier version until the cluster is completely upgraded. Once the cluster has been upgraded, any existing client certificate authentication settings from earlier versions are automatically transformed into the new format.